UPDATE: There are now two workarounds. 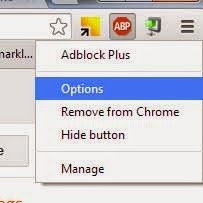 Please note, to make this Workaround work you need to use Adblock Plus. 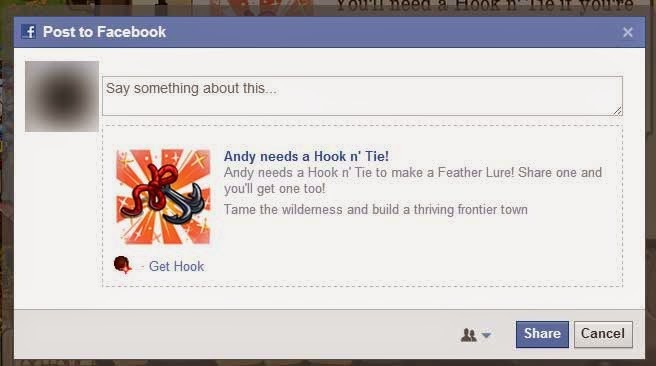 Until Facebook manages to solve the blank posts issue there IS a workaround you can use to make sure you still get your items with a secondary link, with some input from a member, Debbi. Step 1) Install Adblock Plus. 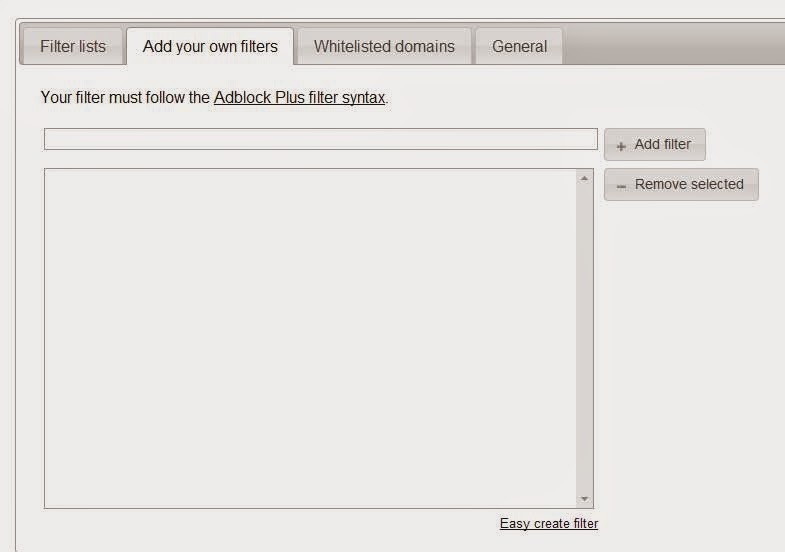 Step 2) Open the options by right clicking on the Adblock icon then select the "Add Your Own Filters" tab. That text has to be added exactly, especially the capital M in the middle. PLEASE NOTE: there are no gaps in the filter, it is all one "word". Step 1) Go to post and get to the Facebook preview popup. Step 2) Right click the blue text title, and select copy link. 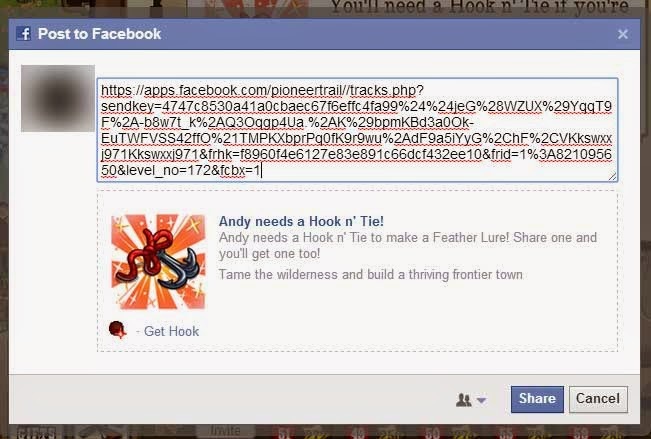 Step 3) Click in the comment window and paste that link in, then post. Step 4) If the post works fine, it's just a second link. 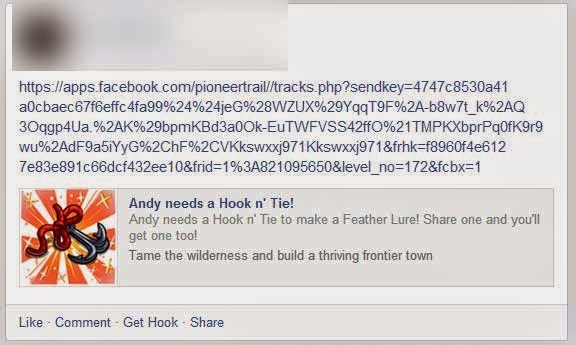 If the post is BLANK, that link will still be clickable and get you your stuff! 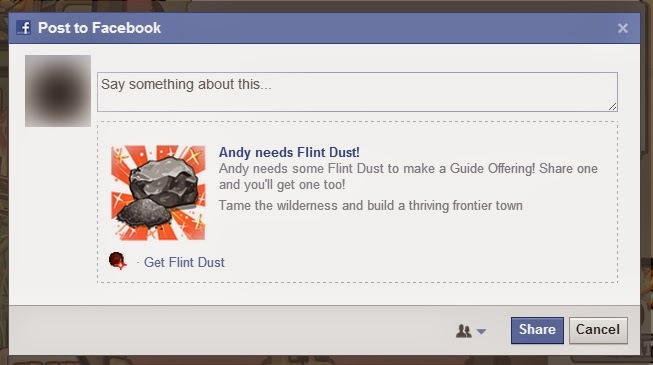 Step 1) Get to the Facebook window posting stage. 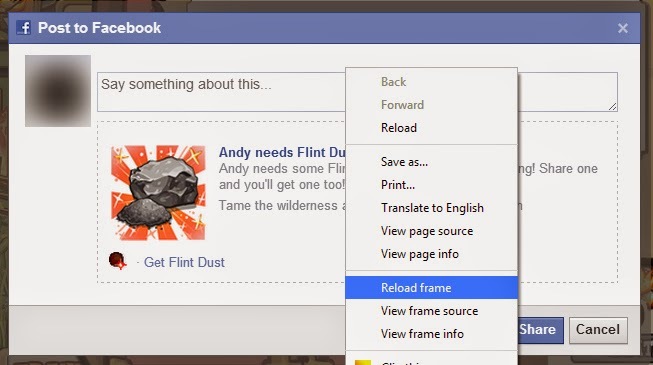 Step 2) Right Click and select Reload Frame. Step 3) If it looks normal, post it. If it's blank, repeat step 1.